19 out of 19 (100.00%) customers would recommend this product to a friend. The ink was of high quality as good if not better then the name brand. The price was far less then the name brand. I would and do tell all my family and friends to buy this product any others from this company. Everything is fine with this replacement ink. The printer ink is satisfactory for what I need. Fit as original and works as its supposed to. I will gladly purchase again when needed. These products always deliver and are very cost effective. My brother printer continues to work well using Inktechnologies ink cartridges. I have been pleased with all of the cartridges for this printer and the price is very reasonable. 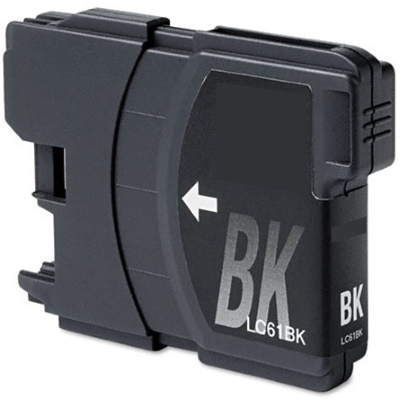 I've been purchasing these ink cartridges for several years and I love the price and quality of the product. The colors are true and I recommend them to anyone looking for value. The Brother replacement cartridge works great and is cheaper. Love this ink!! For the price you can't beat it!! I like the excellent quality at a low price. Good value for the price. I like the guarantee. Of all the cartridges I have ordered I only had a problem with one and it was replaced promptly with no hassle. I'm very happy with the ink that I purchased. It works great with my printer and the price was unbeatable. Worked as advertised, yet about 1/3 less in cost will buy again. I've shopped online and found Ink Tech to be the best price. I have a Brother copy/printer and the Brother ink cartridges are over priced. I have not had any problems with Ink Tech's products.